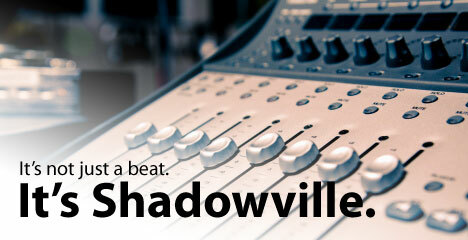 Shadowville Productions is a music licensing company of beats, mainly focused on hip hop beats, R&B beats, and pop beats. Aspiring artists can instantly and securely buy beats at affordable prices. In addition to allowing artists and companies lease beats, Shadowville permits users to download beats as demos from its large library of beats. Free beats should be used for non-profit demo or promotional purposes only. For commercial or profitable use, Shadowville requires you to buy beats or purchase licenses, either exclusive or non-exclusive rights. Copyright © 2014 Shadowville Inc.. All rights reserved. Shadowville, Shadowville Productions, and the Shadowville logo are trademarks of Shadowville Inc. 243 queries in 2.211 seconds.